Helping Our Veterans Graduate has raised $ 2,254 from 23 gifts! The Wall That Heals is a Vietnam Veterans Memorial Replica that travels the country to provide the general public and veterans the opportunity to pay homage to those who lost their lives in the Vietnam War. The wall is 375 feet long and has more 58,000 names inscribed into its 140 panels. The 53-foot trailer that transports the wall doubles as an educational center. 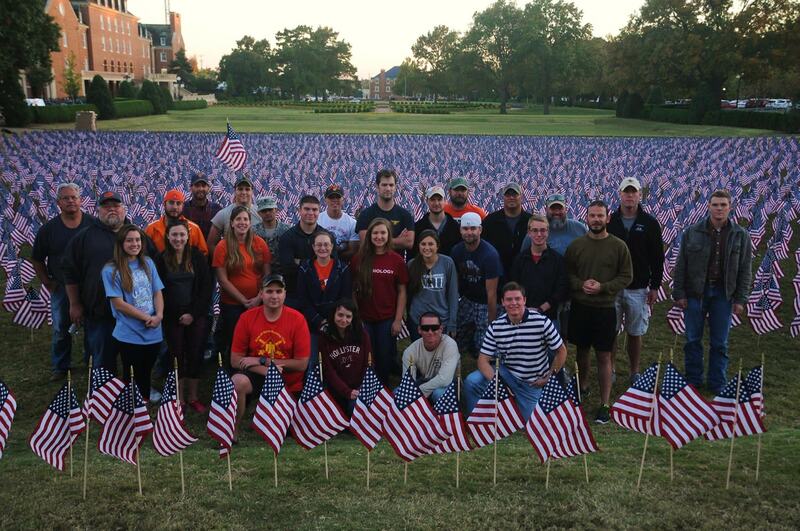 At Oklahoma State University, we provide opportunities for fellowship, programming to address the needs of veterans and education about resources available to military-affiliated students on campus. We invite you to discover your orange passion for Veteran Affairs and help further our efforts to aid veterans to be successful on campus and in our community. Your gift supports veteran’s scholarships, the Women Veterans Symposium, Green Zone Training, Operation Identify, PAVE Program, Warrior Walk Against Veteran Suicide and much more. Your gift, no matter the size, will further our effort to aid veterans to be successful on campus.